On the first anniversary of Hurricane Maria, the IRONMAN Foundation has announced that it will return to Puerto Rico in 2019 for the IRONMAN 70.3 Puerto Rico presented by Puerto Rico Tourism for follow up relief efforts. 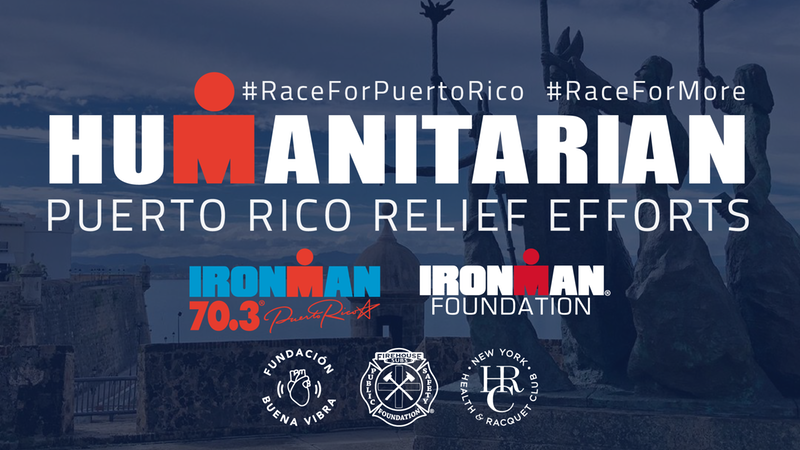 In tandem with the race on March 17, 2019, the IRONMAN Foundation will continue raising grant funding to support ongoing recovery from Hurricane Maria and provide a hands-on rebuilding project for IRONMAN athletes and volunteers in partnership with Buena Vibra Foundation. In 2018, the IRONMAN Foundation provided more than US$120,000 in grant funding to five local non-profits to support Hurricane Maria recovery efforts. During the large-scare service project, more than 100 athletes and volunteers participated in a rebuilding project the day after the IRONMAN 70.3 Puerto Rico race, helping to revitalize the homes and community of Barrio Ingenio. Race – Register to race IRONMAN 70.3 Puerto Rico presented by Puerto Rico Tourism on March 17, 2019 through the TEAM IMF Program and fundraise to support local recovery efforts. Race entry and service project participation are included. New for 2019, the TEAM IMF | MORE IMPACT program includes specially curated cultural opportunities in the San Juan area. Donate – Funds will support IRONMAN Foundation grant awards in the region.